The UChicago Urbanists was founded in Fall 2017 because I discovered from scattered conversations that there was a clear lack of space at the University for undergraduates to come together and talk about urbanism. Thus, I took it upon myself to create that space. 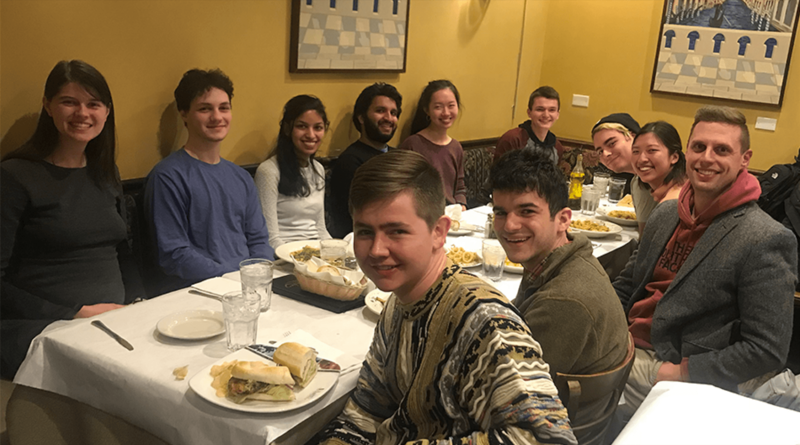 It has been a little over a year since the UChicago Urbanists have been established and in that year, we have come together to form a family and inspire each other to learn more, and care more, about our cities. Our group is structured through weekly meetings and some programming throughout the quarters. Every meeting, we open with a Chicago #NeighborhoodOfTheWeek so we can familiarize ourselves with neighborhoods that aren’t just Hyde Park, the Loop, and Wicker Park. Then, we carry into a discussion for the week. One week we might talk about the implications of Amazon’s HQ2 and what the move would mean for working class families in the DC suburbs and Queens. Another week we might talk about the comparative case studies of crime between East New York and Englewood and try to examine why one neighborhood might’ve been able to successfully combat crime without driving. Whatever we’re talking about, there’s always passion in the room. The most common feedback I get from members about why they come to meetings is that they love learning from their peers, who supposedly know so much about cities than themselves do. As the leader of the group, I’m able to get a sense that everyone is learning and taking something away from our conversations, but only because everyone is also contributing their personal insight as well as their eagerness to learn. One of the most gratifying feelings I get to experience is when the members spin off into intense discourse among themselves. It’s because of the care and enthusiasm I’m able to witness almost every week that I’m reassured the future of our cities is in bright hands. Above all else, I’m grateful to my university sponsors, Anne Dodge from the Mansueto Institute and Professor Emily Talen for making so much of our programming possible. Through their generosities, we’re able to host private events with older Urbanists on faculty or those who happen to be visiting. We’re able to go on neighborhood tours in Chicago and have a meal at a local, family owned restaurant. We’re able to provide enriching experiences that stretch beyond our meeting rooms and allow our members to be the curious urbanists they are. Starting a new organization from scratch hasn’t always been easy, but knowing I have the support I do from peers and my sponsors makes the effort all worth it.